Sometimes dead is better, but not better than getting an early chance to see the new Pet Sematary movie. The 2019 Stephen King adaptation premiered Saturday night, March 16 at South by Southwest, giving lucky critics and fans a first look at the horror movie before it opens wide in the U.S. on April 5. Collier’s Perri Nemiroff absolutely raved about the movie, praising directors Kevin Kölsch and Dennis Widmyer, along with young star Jeté Laurence as Ellie Creed. Erik Davis of Fandango praised the film, adding that it should please fans of Stephen King’s novel. He also pushed Captain Marvel‘s Goose out of the way to make room for Pet Sematary‘s Church — as if what we really need isn’t a buddy movie starring both cats. Take me to Church! Chris Evangelista of /Film also noted that Pet Sematary isn’t 100% faithful to Stephen King’s novel, but that didn’t damage his opinion of the movie at all. He called it one of the best King adaptations to date. Like the best King adaptations, PET SEMATARY isn’t 100% faithful to the text, but the spirit. This movie is BLEAK (but also surprisingly funny at times). And yes, the Ramones song played over the credits and I CHEERED. Some fans at home — myself included, I’ll admit — have worried the Pet Sematary trailers may have given away the entire story. Critics like Heather Wixson of Daily Dead tried to put those fears to rest, adding expectations of some major twists. Since we’re talking about a horror film, Meredith Borders of Fangoria emphasized that it delivers on one major requirement — scares. Stephen King published Pet Sematary in 1983, and a horror movie adaptation was first released in 1989. We already know from the trailers that this film makes one semi-big change to the source material, but apparently there are more changes ahead. The 2019 adaptation stars Jason Clarke as Louis Creed, Amy Seimetz as Rachel Creed, John Lithgow as Jud Crandall, Jeté Laurence as Ellie Creed, and both young Hugo Lavoie and Lucas Lavoie as Gage Creed. Pet Sematary opens opposite DC’s Shazam!, which will be some serious competition at the box office. Early estimates put Pet Sematary‘s opening anywhere from $ 20 million to $ 30 million at the domestic North American market. The movie could skew higher after all of these rave reviews — including promises of secrets not revealed in the trailers — driving more curious fans to the theater. 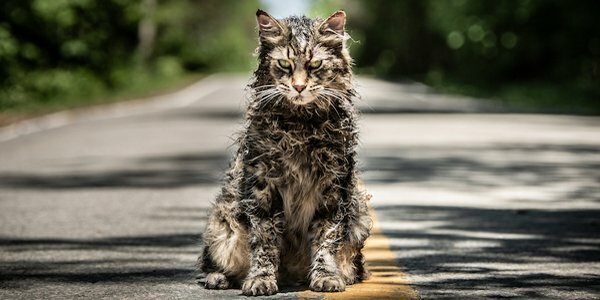 Watch Pet Sematary in theaters starting April 5, as one of the many films to keep an eye on with our 2019 movie release date schedule.